The DSWA has become "the place" where thousands of people turn to each month for specialized guidance on how to select the right home-based business opportunity. You will be featured as a DSWA Direct Selling Company Member, and your company will be featured in rotating spots throughout DSWA.org. Has your company been in business for 1 year or more? If not, please contact us at corporateservice@dswa.org or 888-417-0743 x101 to request information on our Pre-launch/First Year Corporate Membership. We also encourage you to take advantage of our complimentary Executive Forum in which we host industry leaders on topics specifically relevant to Direct Selling Companies: branding, compensation plans, communications, raising capital, cutting-edge tools, and much more. Our success is tied to yours, and we realize that fact. We want you to get the full benefit of your DSWA membership and we make frequent contact with you throughout the year to allow you to reap what you deserve. The DSWA is committed to empowering direct sellers and their companies around the world. This starts with an orientation to the DSWA that is designed to help you take full advantage of the many benefits available to you as a company member. When you want access to the DSWA Executive Team, we are only a quick phone call away. After the completion of a brief Corporate Needs Assessment Questionnaire, you may schedule a one-hour call with a DSWA Executive Team member and key people on your corporate staff. These calls can be used to answer questions, address immediate needs, or discuss your plan for maximizing your involvement with the DSWA. Contact the Corporate Service Department with any questions. Are you ready for fresh insights into your company that can open avenues to explode your business? For fully launched companies, your membership includes a featured listing and a custom web page that displays your company logo, a detailed description of your business opportunity, contact information and a hyperlink to your company’s web site. Thousands of opportunity seekers use the DSWA Company Search area each month. As they search by product type, company name or start-up costs, your company will receive excellent exposure. In addition, our collaborative efforts with work-at-home web sites, family focused publications, industry specific articles, newspaper/print media, targeted discussion groups and word of mouth advertising, have made the DSWA the “place to go” for knowledge and guidance on how to select the right business opportunity. Shouldn’t your company be positioned to benefit from these lead generations efforts to introduce more people to the direct selling profession? Keep your sales and marketing team on the cutting edge by providing them with a constant source of industry-specific tools. These resources can be used as a springboard for developing successful campaigns in the area of sales, recruiting, training, and leadership development to facilitate the growth of your company. These resources include industry-specific articles, success tips on over 20 direct selling related topics, PDFs and checklists that can be used to create exceptional training for the field. The extensive library is yours to study, absorb, and utilize in your training. Where else can you access articles by high profile authors and experts in the field at no cost? Studies have proven that companies who cultivate an internal culture that promotes understanding of the needs of their distributors have a higher retention rate than companies who fail to provide industry specific education for their staff. As a Direct Selling Company Member, your staff may participate in the bi-monthly Teleclasses. You have the opportunity to be on the live calls and ask your questions or can access the recordings on the Teleclasses page. The DSWA has developed strong relationships with vendors and speakers who serve the direct selling community and have negotiated special discounts and bonuses on products and services to expedite the growth of your company. For example, member companies receive special discounts on all products purchased in bulk such as Build It Big, More Build It Big, Build It Big Workbook, and audio programs. The DSWA negotiates and provides the best discounts available to our members. Provide your sales force with the educational resources available through the DSWA by participating in our “bulk membership program.” This option enables companies to purchase 1-year memberships at a considerable discount to be included in your starter kit or used as part of an incentive. For example, your company can offer a 3 month membership for as low as $9.95 (retail value of $39.95). These memberships can be added to your starter kit to ensure every new distributor is on a path of personal growth to ultimately enhance their success. This is your opportunity to share what you value. Take advantage of a guest training appearance on a conference call by a member of the DSWA Executive Team. These highly skilled trainers will help you meet the training needs of your sales force. In addition, the DSWA will provide a guest trainer each quarter for conference calls with 50 or more participants. To schedule a teleconference call, contact corporateservice@dswa.org. Often times a “different voice” sharing your company message will make a difference with your distributors’ performance. Let us help you make a difference. The DSWA has a national account with FedEx Office, which entitles active members to sign up to receive up to a 40% discount off copying, printing and general business services offered at 1,400 FedEx Office locations in the United States. As a corporate member, you will receive an invitation to open your own FedEx Office discount account. The DSWA also has a national discount program with Office Max. With discounts from 10% to 94%, the savings can be significant. The savings from these two programs alone will likely cover your membership fee within months. Use a complimentary independent membership to introduce one of your top leaders to the DSWA. This VIP access to more than 600 pages in our password protected Members Only area will provide your key leader with an endless resource of information, tips and business-building ideas. The more that you involve your sales with the DSWA, the more they grow. 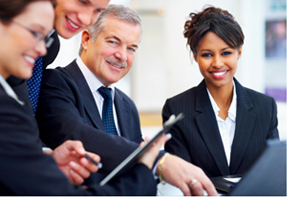 The Corporate Mentor Program offers one-on-one consulting that is designed to meet your needs. The program offers two phone calls prior to a full one-day, personalized consulting session, a written report of the full-day session, and a personal follow up call to provide guidance and feedback as you make progress on your plan. The DSWA Coach Excellence® program, which is the only coach training program designed exclusively for direct selling executives by direct selling coaches. Your staff will have the opportunity to be trained and certified as coaches. The DSWA is in the process of pursuing accreditation of the program by the Worldwide Association of Business Coaches. The WABC is the only worldwide professional organization for business coaches. Customized manuals and guides are available to provide established practices for your sales force. A quality Quick Start Guide, Consultant Manual, New Leader’s Guide and Leadership Manual delivers a consistent approach that can make a big difference in the success of the sales force as well as your company. Many DSWA Direct Selling Company Members take advantage of the affordable link with the DSWA’s Events. The connecting conferences save companies thousands of dollars and provide an opportunity for first class training for your sales force. Provide your distributors with the opportunities only found at a top shelf event.